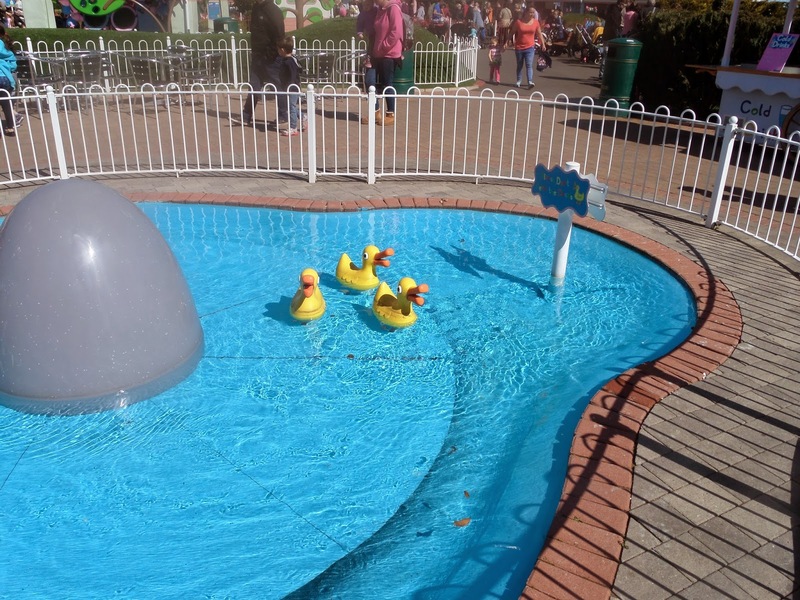 For the first time in around 6 years, I ventured to Paultons Park. Not expecting much since the last time I visited there were dated dinosaur exhibitions and dated rides. I was surprised to find everything was current and up to date as well as the entrance looking very Americanised and clean. 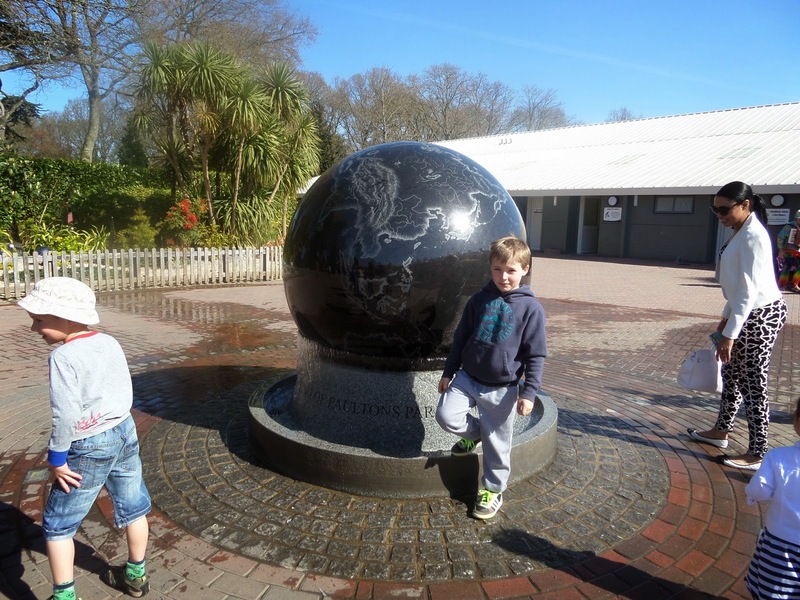 Something's never change though, the entrance globe has been there since I can remember and I sat watching TJ trying to do the exact same thing I used to when I was younger. watching him try and push the ball back round the opposite way made me smile. The second thought was how big it now looked compared to when I was younger. We visited the 4D theatre which the story seemed a little dated and TJ couldn't focus for long on it despite there being a few hidden surprises for park guests. 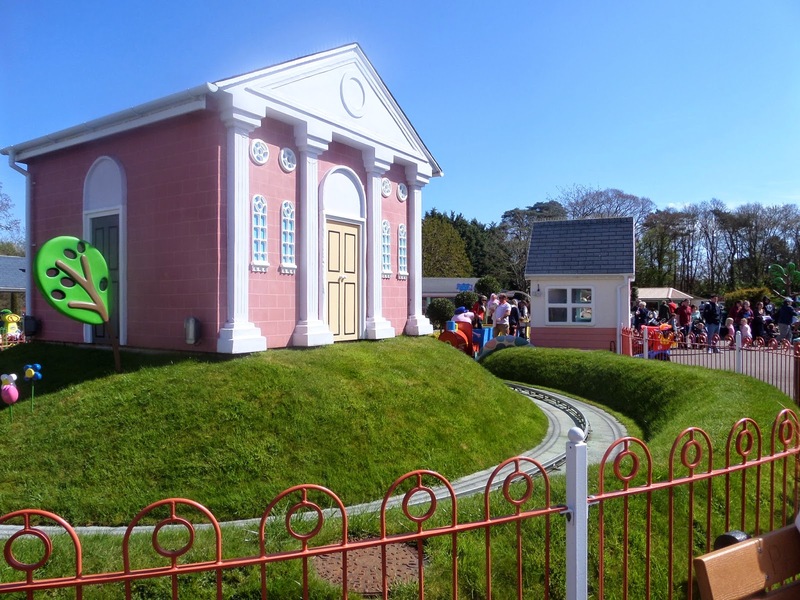 Peppa pig world WOW! despite being long que's for the rides the waiting time for each one must've been around 20 minutes and the rides seemed to be long enough to enjoy. Instead of eating at the restaurants due to trying to keep costs down, I took a picnic. We hired out the lockers which were just inside the entrance for a £1 (but be aware that's every time you access the locker so make sure you remove everything that you need). It proved to be very useful as stored jackets backpacks with our lunch and car keys to ensure we didn't loose them. After lunch we headed to the larger rides for the tweens upwards. I enjoyed the coasters and bigger rides. TJ most defiantly enjoyed his special day before heading back to school.